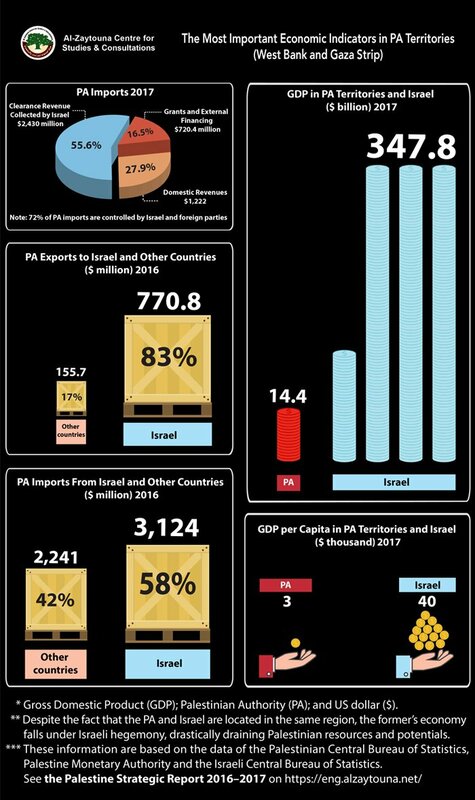 Check out al-Zaytouna Centre latest Infographic on the most prominent economic indicators in the Palestinian Authority territories (West Bank and Gaza Strip) during 2016–2017. For more, see the Arabic version of the Palestine Strategic Report 2016-2017. (English version will be published very soon).